Monrovia – In the midst of several verbal attacks on FrontPage Africa and its Managing Editor, Rodney D. Sieh, for its critical stance on the government, the offices of FPA was at the verge of closure Monday, following a civil lawsuit for actions for damages for wrong by attachment in the tone of over one million United States Dollars. Editors, reporters and other staffs of FPA, including the janitor, were dragged out thier offices on Monday morning by Court Sheriffs who claimed they had strict orders to arrest all staffs within FPA’s premises. They were held of prisoners’ bench at the Civil Law Court for hours before they were released by Judge Yarmie Gbeisay based on the plea of Cllr. Pearl Brown-Bull, after assuring Judge Gbeisay she would ensure that the bond is filed before 4:00 PM, Tuesday, April 10, 2018. 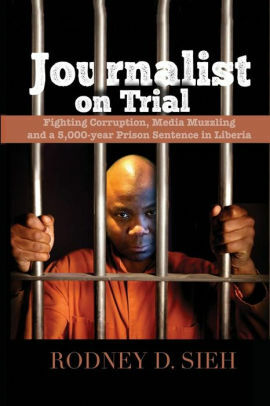 The suit, Henry A. K. Morgan and Moses T. Konah of the City of Monrovia, Vs. Henry V. L. Morgan, Edwin A. Morgan and Gbein Morgan of the City of Monrovia, Montserrado County, R.L, as First Defendant and FrontPage Africa Newspaper by and thru its Board of Directors, Managing Editor, News Editor and all those working under their scope of authority; and also of the same address.